T hank you to all the FHHS families, past pupils and community members who supported our raffle last term. This is where the money is going!! 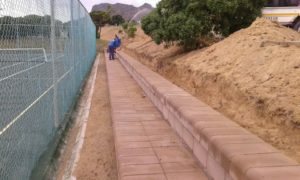 The grand stand seating is going up fast and furious at the tennis/netball courts. 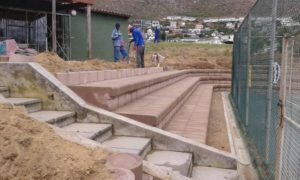 The third step in front of clubhouse has been completed and the builders are starting with third step at the main court on Wednesday 21 November 2018.